The first step in bringing a solution to our state budget issues is to combine a healthy dividend plan with the imposition of an income tax in one bill, possibly avoiding the one-subject rule by treating the dividend as a subset of the tax. The combination would make a Dunleavy veto difficult. Put together with the dividend, the tax doesn’t seem so bad. You get paid $1,800 into one hand and pay back out of the other - nothing or, in rare cases, the whole thing, depending on how rich you are. Amazing how the majority of Alaskans who make too little to pay much in graduated income taxes are the angriest voices protecting the income of the well-off who would pay almost all the taxes. It might help if more Alaskans realized that the Permanent Fund dividend is actually a social program, common in other Western countries, intended to support a minimum income floor. Sometimes it is called a “negative income tax.” Also common in Western Europe are forms of child support. Our dividend to babies and children serves the same purpose. The payments to a family with children bring an improved standard of child care. The PFD’s societal purposes are especially relevant in Alaska with our large, rural, variable subsistence, low income population. The disappearance of the dividend will undermine village life, pressuring thousands of Alaska Natives to choose a life in large cities as the cash floor to the subsistence lifestyle is destroyed. Of course expenditures are made deserving disapproval. That may be where the notion of “dividend,” a “payment of right,” helps to justify the program as well as saving the state expenditures relating to accountability. The public will favor a PFD but not separate appropriations for rural welfare or child support. We all prefer programs free of the government’s nose in our business. The PFD is not the root of the state’s budget problem (per Roger Marks); the root of the state’s problem is the absence of a sustaining tax base. In most states, that’s an income tax. A new business coming into the state, bringing in new people, should pay its share. In Alaska, new business cuts everybody’s share. That’s why some economists have called our oil base “a curse.” In a tax-free state, it sets a fixed or declining amount of revenue for the public-service sectors of the economy. The PFD is a program, a program requiring expenditures, like education, health, justice and welfare, or to cite a federal program, Social Security, which also sends money to people that need it or don’t in varying degrees and then taxes some of it back. Some Social Security dollars are no doubt spent on pleasures not related to specific needs of seniors. But it works and it had the required public support. Whatever the original theory (and bless Gov. Jay Hammond and his legislative allies), the PFD is now an income maintenance program of critical importance to most of the state. No doubt, after an income tax, there is still some deficit to be dealt with. At the top of the list for addressing the remaining deficit is a better look at oil taxes. In the era of Govs. Bill Egan, Jay Hammond and Wally Hickel, a split of one-third federal, one-third state and one-third industry was the rough standard for distributing oil revenue. We fall short of that now. We have heard the industry’s cry for 50 years that if you raise our taxes, we will take our bat and balls and go home. It just isn’t true. And handing out oil subsidies is just crazy, suggesting there has been way too much oil influence over the Legislature. Maybe there is room for more budget cuts, but not much. We have been cutting and ignoring emerging issues (pre-K-12 for example) for too many years already. Maybe there are additional, incidental taxes to levy. A bit more on gasoline, a statewide shot at alcohol — which generates much more in costs than it gives in taxes — and a seasonal sales tax that brings the tourist industry in to pay a better share of the base. Most of us take special pride in being Alaskans. How many times have you heard about the “old days” when we stopped on the highway anytime we saw someone in trouble? Those stories reflect the theme that Real Alaskans take care of those who need help. We don’t complain about people living on handouts when the economics of the state show that we are all doing just that. The Territorial Legislature passed an income tax. 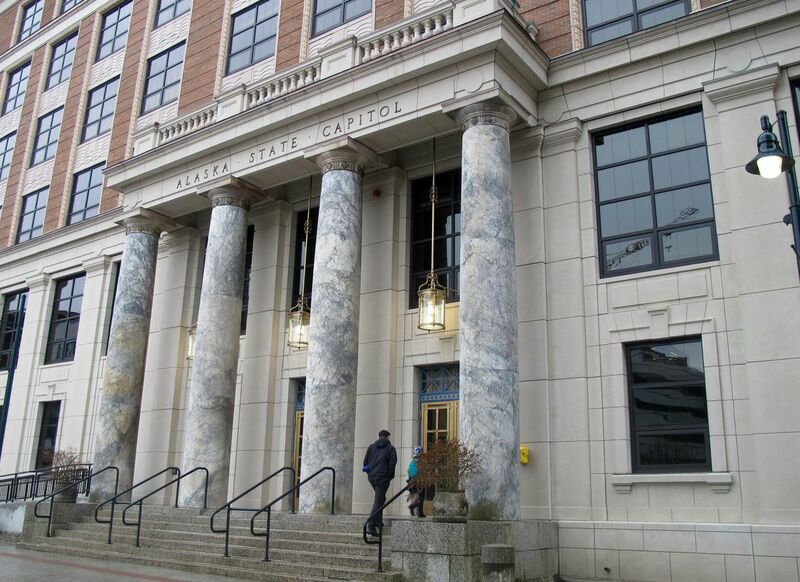 So, let’s call our legislators to a standard, working on a real solution — one that does no injury to Alaska values, one that reminds us to cough up our share as well as taking one. John Havelock served as Gov. Bill Egan’s Attorney General and was on Gov. Jay Hammond’s Growth Policy Council and Gov. Wally Hickel’s Committee on School Organization.